Nathan was named President & CEO of Ski Utah in October, 2005. 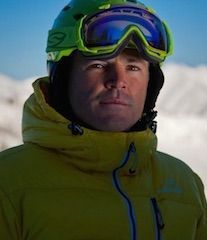 Before changing roles within the organization, he served as Ski Utah’s director of communications for seven years, with previous experience at Park City Mountain Resort. His responsibilities include continuing to promote Utah’s 14 mountain resorts with a budget of approximately $3.5 million. As chair of the Utah Tourism Industry Coalition and vice-chair of the Utah Office of Tourism board of directors, he works on both promotion and legislative issues on a statewide level. A Salt Lake City native, Nathan has worked in various capacities in Utah’s ski industry, starting as an intern with Ski Utah the summer he graduated from the University of Arizona in 1994. In 2007, and again in 2012, he was named one of Utah’s “100 Most Influential People” by Utah Business Magazine and to their “40 Under 40” list in 2008.